WelCom March 2018: Pope Francis sent a message to the second Pacific Climate Change Conference held at Te Papa Tongarewa in Wellington, 21‒23 February. Cardinal John Dew read out Pope Francis’ message to the 400 participants from all around the Pacific. 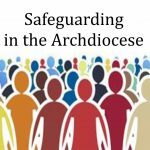 The conference organisers, Victoria University Wellington and Secretariat of the Pacific Regional Environment Programme had invited Cardinal John to lead a prayer at the beginning of the conference. 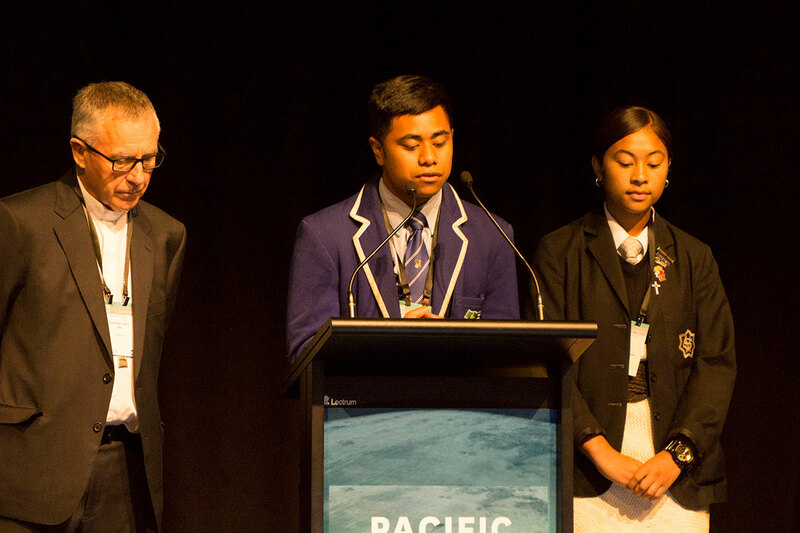 Joined by Tukasi Paongo from St Mary’s College and Marcus Tumaai from St Patrick’s College Wellington, Cardinal John’s prayer focused on quotes from Laudato Si’, which generated great interest among the participants. Delegates included leaders, first-nations’ peoples, scientists and other academics, media and students. 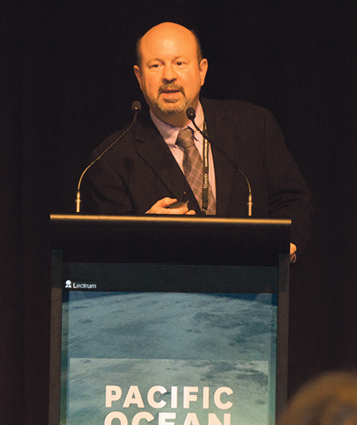 The second Pacific Climate Change Conference was held at Te Papa National Museum, Wellington 21–23 February 2018. 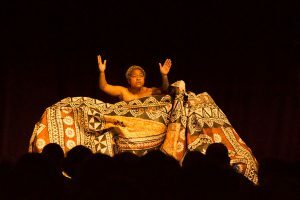 The conference, hosted by Victoria University of Wellington and Secretariat of the Pacific Regional Environment Programme (SPREP), began with a pōwhiri followed by a prayer session led by Cardinal John Dew. Cardinal John Dew, Marcus Tumaai and Tukasi Paongo lead opening prayers. ‘Climate change is real’ – The Conch Theatre opening performance. 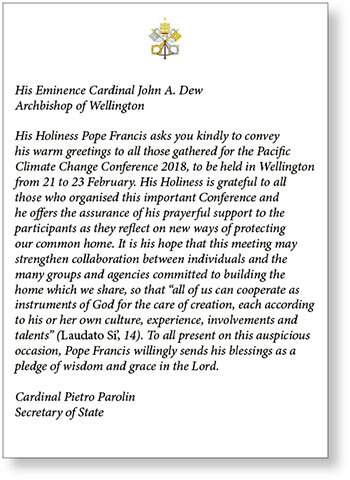 Cardinal John concluded the prayer session with a message from Pope Francis, written expressly for this second Pacific Climate Change Conference. 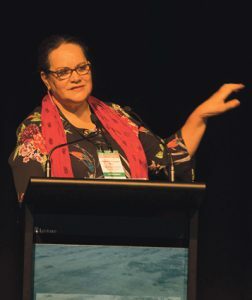 This second Pacific climate-change conference was held in New Zealand as central to the Pacific and the many low-lying island nations threatened by climate change, rising sea levels, ocean change, coral-reef reduction, severe drought, large swings in climate and extreme weather events from year to year – and the resilience, knowledge and leadership of first peoples and global treaty obligations. The conference demonstrated how climate change is already changing the nature of the weather and the seasonal climate, and rising sea levels across the globe. A broad range of voices on climate change came together – from the science to the impacts to the policy and public implications. 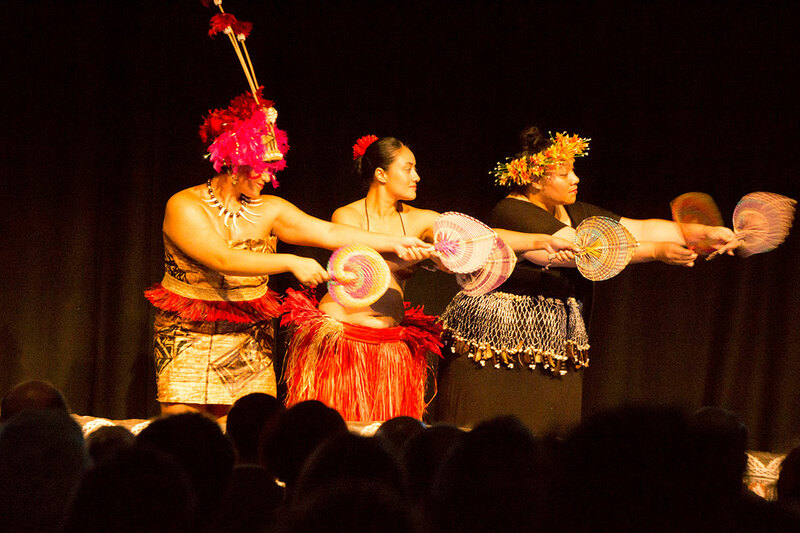 Sectors included the arts, science communities, Pacific communities, activists, business, legal and finance sectors, faith communities, NGOs, health, politicians and members of the public, to provide a rich exchange of diverse ideas on how to tackle this biggest of problems. 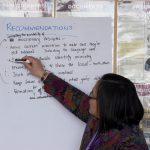 Over the three days in a multitude of sessions, workshops and key-note presentations environmental and ecological impacts on both large and small nations were discussed. A particular component was a session devoted to mitigation action under the Paris Agreement on climate change. Representatives of nations across the Pacific were asked to report on steps being taken at the national level to reduce greenhouse gas emissions to slow the rate of climate change. Left unchecked, climate change presents huge risks for food security, water availability, and habitability. It is the number one problem facing humanity. 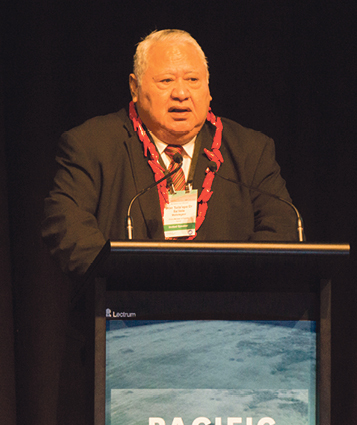 Hon Tuila’epa Dr Fa’ilele Malieletaoi, Prime Minister of Samoa, a leading Pacific Island voice for Paris Agreement 2015, gives opening keynote address. 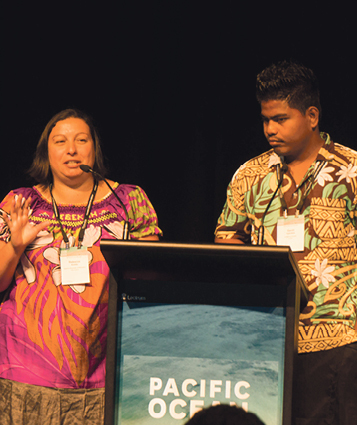 Arwa Al-Bahadly and John Edwards discuss access to clean water in Kiribati. Professor Michael Mann, Distinguished Professor of Atmospheric Science, Pennsylvania State University, gives keynote address, ‘Dire predictions: understanding climate change’. Aroha Te Pareake Mead, Independent Researcher, gives keynote address ‘Climate change, Leadership and Indigenous Knowledge’. “We’re only here for a short amount of time to do what we’ve been put here to do, which is to look after the country. We’re only a tool in the cycle of things. 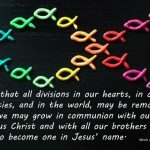 …(we) go out into the world and help keep the balance of nature. It a big cycle of loving with the land, and then eventually going back to in… An Elder, Noongar People, From ‘Elders: Wisdom from Australia’s Indigenous Leaders’. Tropical Cyclone Gita swept across islands of the Pacific with 275km/h winds and storm surges over 72 hours hitting Tonga, Samoa, American Samoa and Fiji Islands, and causing substantial damage to homes, livelihoods, schools, places of refuge, and places of prayer. Gita reached Tonga on 12 February as a category 4 tropical storm. Capital Nuku’alofa was severely damaged, with power and water out and many landmark buildings destroyed, including Tonga’s House of Parliament and a Catholic church. The cyclone has been described as the strongest to hit Tonga in its history and estimates say 75 per cent of homes in capital Nuku‘alofa were destroyed. The New Zealand government has pledged $750,000 to help rescue and relief operations. Caritas Aotearoa New Zealand has committed an initial NZ$10,000 grant to help communities rebuild. Caritas committees based in villages and communities around Tonga have been on the ground to determine what kind of assistance is needed. You can support Caritas’s emergency response work and Pacific communities’ work by giving to the Pacific Relief Fund online at www.caritas.org.nz/donate or to annual Lenten appeal – for global response.